Interested in bees? This is the place to be. Set up on a sloping terrain, the Highlands Apiary Farm features a viewing gallery of bee nests and a shop from where you can collect bottled honey combs, pollen extract, royal jelly and even fruit-based cider vinegar. Apart from bees, this farm also offers you a chance to go strawberry picking. 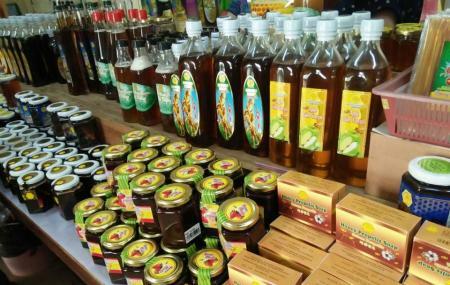 This farm is known for its production of tasty honey which is kept up for sale. How popular is Highlands Apiary Farm? People normally club together Healthy Strawberry Farm and Green View Garden while planning their visit to Highlands Apiary Farm. We visited here as it was on the way going back to KL. There a number of bee hives which was nice to walk around however the grounds were not very well kept when we visited. The majority of this attraction is a shop which sells an array of products such as honey. Can see apiculture closely. Buy good honey.